Mass centralization is a term often used to describe the features of a new motorcycle but is also a term that can be applied to riding tools and supplies. 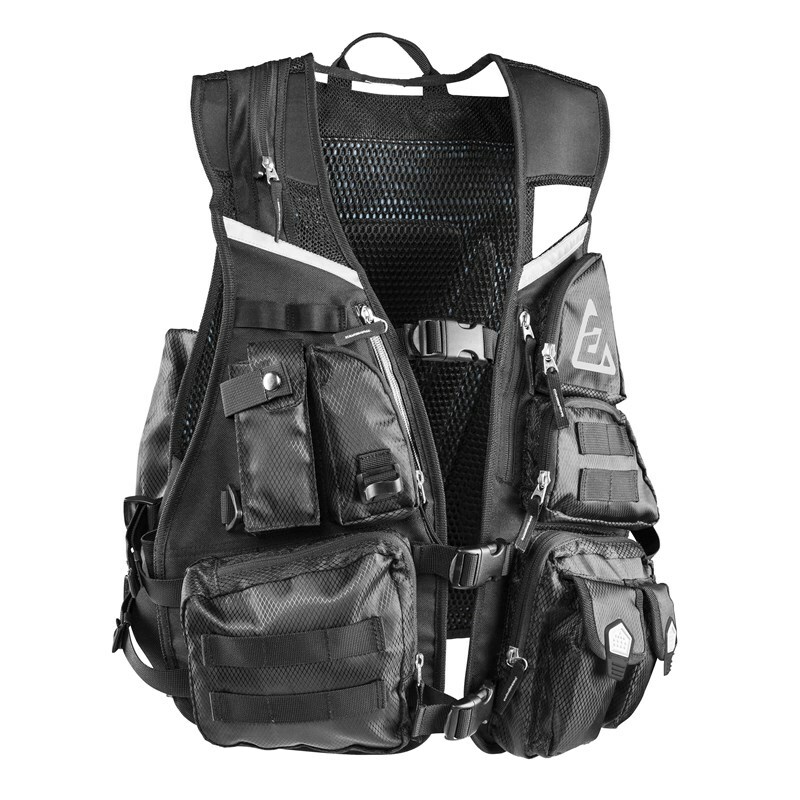 Over-stuffed backpack put an incredible strain on the riders shoulders and back, the Frontier Vest helps to evenly distribute the load over a wider area. Answer set out to build the worlds toughest and versatile vest to help spread weight across the riders entire upper body. The Frontier Vest features and easy to clean, rugged nylon chassis, premium YKK zippers, molle compatible straps, hydration-ready compartment and built in tool pack. Highly adjustable and features an easy-to-access fitment straps as well as a circular non-binding harness system to increase fluidity between rider and garment.